When my French-food-loving friend Meg was in town, I knew we had to stop at one of the city's most famous French restaurants, La Creperie. The restaurant, which dubs itself the US' oldest creperie, briefly closed and reopened late last year (I recommend reading the story behind this). 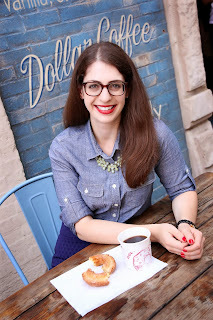 Having lived in the area for five years, I was embarrassed to say I'd never been to La Creperie. It was that neighborhood classic I had been meaning to try forever, but just never got around to it. But that finally changed! Meg, the BF and I strolled over to La Creperie on a sunny Saturday afternoon where we were seated on the back patio. Looking at the restaurant from the street you'd never have any idea how large the restaurant is, and how far back it goes. The little patio in the back was secluded, quaint, and lovely and includes a handful of tables with umbrellas, as well as several fountains. 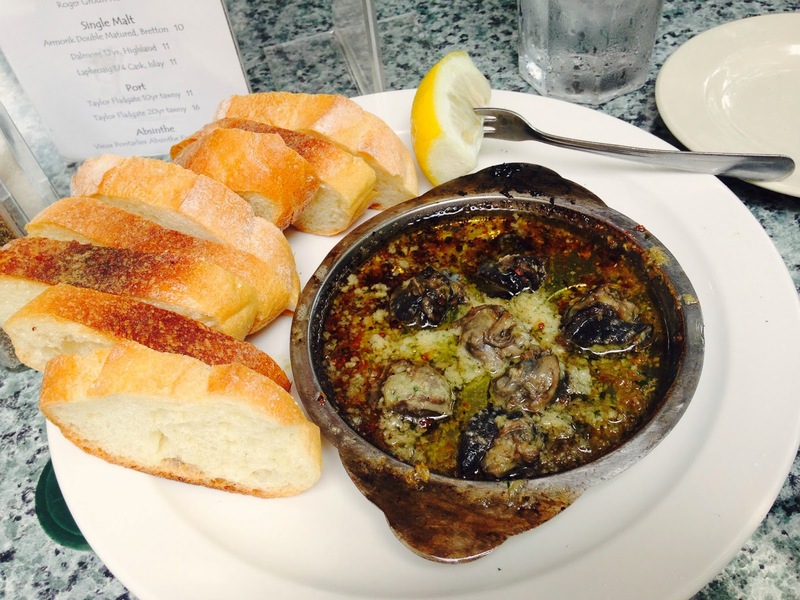 We started with the escargot, or snails, served in a garlic butter sauce. I almost always order escargot at a French restaurant because it's something I never really eat, and most certainly wouldn't make myself at home. The gooey sauce was heavenly, especially with the crusty French bread. Obviously we were going to get crepes at La Creperie. The BF and I split a savory crepe with chicken, roasted tomatoes, and goat cheese. The portion size was gigantic and is perfect for sharing, especially with a starter, or if you plan on trying a sweet crepe for dessert. 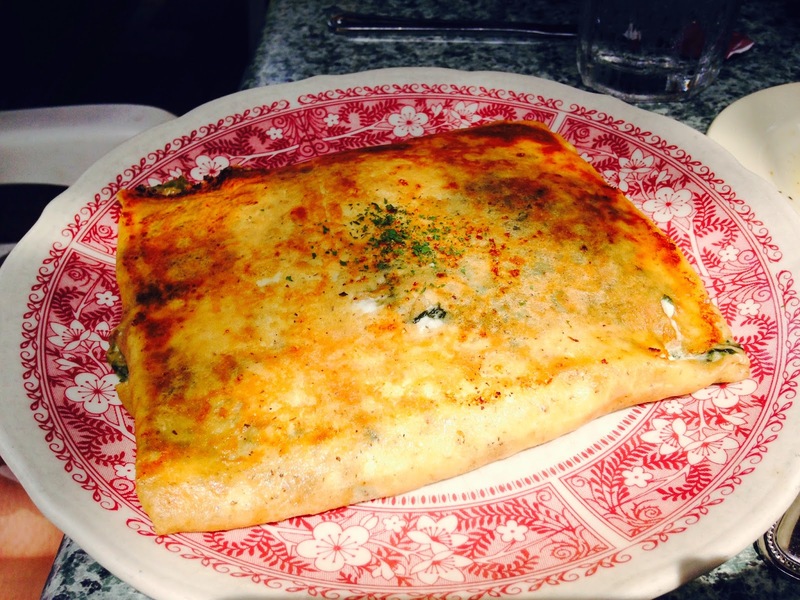 Meg also tried a savory crepe; hers had egg, goat cheese and spinach. The quality of ingredients in both crepes was excellent. There was a ton of cheese, which is always delicious, and the outside of the crepe was soft and buttery. It was easy to inhale bite after bite, despite the large portion size. We were so stuffed from the crepes that we didn't have room to try a sweet crepe for dessert. Sweet crepes include 14 different options with fillings such as Nutella, peanut butter, fruit, or caramel. I will definitely be back to try the Nutella and sauteed bananas crepe! 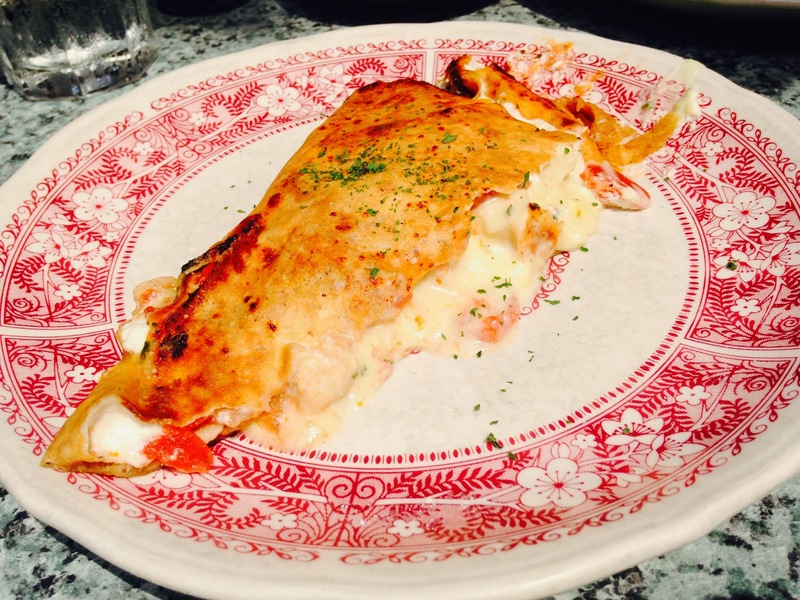 I'm giving La Creperie 4 ghosts for their tranquil atmosphere, friendly staff, comforting French cuisine, and reasonable prices.